Today I went shopping at Coles in Moonee Beach because we were running out of things to eat. Adam stayed home and while I enjoyed shopping I noticed there were some things that I can’t get here in Australia. 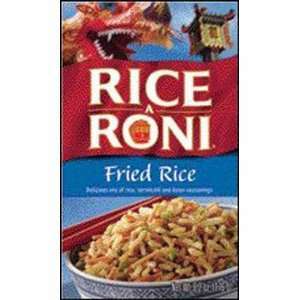 They do stock Uncle Ben’s rice mixes but what I am desiring is Rice a Roni specifically the Fried Rice. I even checked on http://www.usafoods.com.au/ but they are out of stock. I asked them to let me know when they have it back in. I do miss Peter Pan Peanut Butter and only saw it on sale once at Woolworths. At one time the stores actually stocked Cherry Coke. It didn’t stay here long though. I can get it online or maybe even at a speciality lolly shop when I look for it. I have really cut down on my intake of soda though. My first Thanksgiving in Australia, I asked if they had French’s Fried Onions in a can. The stock person looked at me like I was insane. Another thing that I used to love to get was sloppy joes but here in Australia it is a sweatshirt not a sandwich. I guess I will have to add that to my wish list of American food items. I guess I am going to be making a wish list of things to get from USA Foods. They normally carry long life dry goods. They don’t sell tin biscuits or any dairy items. When I grew up pudding was not a cake like dish with a sauce, it was more like a custard. Jello is known as jelly here in Australia. Overall, I don’t mind living in Australia. I actually love it but I do miss some of the comfort foods I had from growing up. I still prefer American hot dogs over Australian. The bacon is different but I can get it to get crispy like I am used to. I am not complaining about living in Australia with the food but you can take the girl out of America but her taste buds still have a hankering for things she grew up with. I will always carry the jingles I grew up with in my head even sharing them with others freely.